A recent TSIA study predicted that 80% of new technology spend will sit with business buyers by 2020. These buyers don’t want to talk about product features and functions, they want to engage with companies and individuals who can explain how a proposed solution will contribute to the achievement of their priority business outcomes. The majority of technology sales organizations are not geared up to make this shift; their processes, tools, training, and their people have all evolved to be exceptional in the traditional, transactional model. And so, facing the outcome-based market, and the realization that traditional product sales just won’t cut it with the new buyer profile and strategy, how can sellers adapt to their customer preferences, while still making the sale? 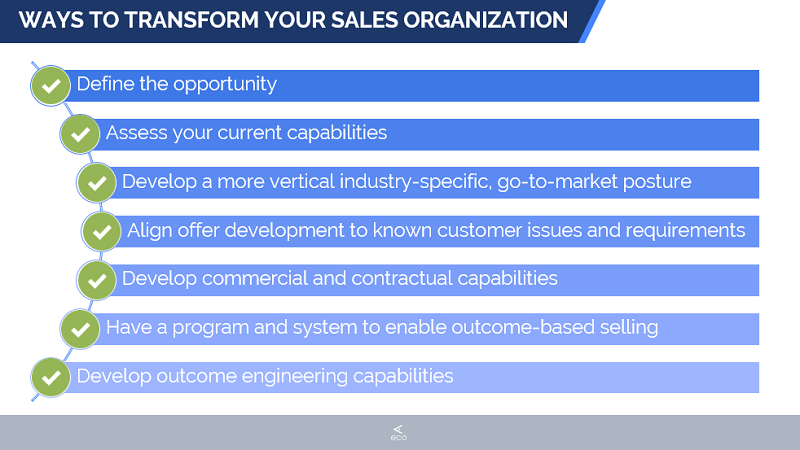 These recommendations offer a foundational approach to help sales organizations successfully shift to the outcome-based marketplace. 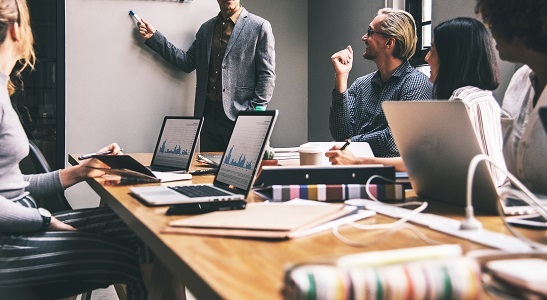 However, these changes don’t come easily: they are a series of structural and organizational transformations that challenge “the status-quo” of traditional IT sales strategies. Now, sales organizations are required to adapt internally and externally to catch up with the realities of their customers’ buying strategies. Not only are they having to make value clear to their customer, but they are also having to figure out how to do so, and how to do it effectively. By introducing value early into conversations with customers, and tailoring discussions around the parameters of the client’s business and their desired outcomes, reps will find feature and functionality and pricing conversations taking the back seat – and will enjoy more collaborative, candid conversations with their customers. This consultative approach not only aligns to the customer’s buying process but also opens the doors for customers to define their value – and the sales organizations to respond meaningfully to it. Learn more about moving your sales organization towards outcome-based selling in our Voice of Value Podcast here.